The sun(flower)’s got it’s hat on….hip, hip, hip hooray…. Summer has popped back for a visit. This is what 25C looks like. 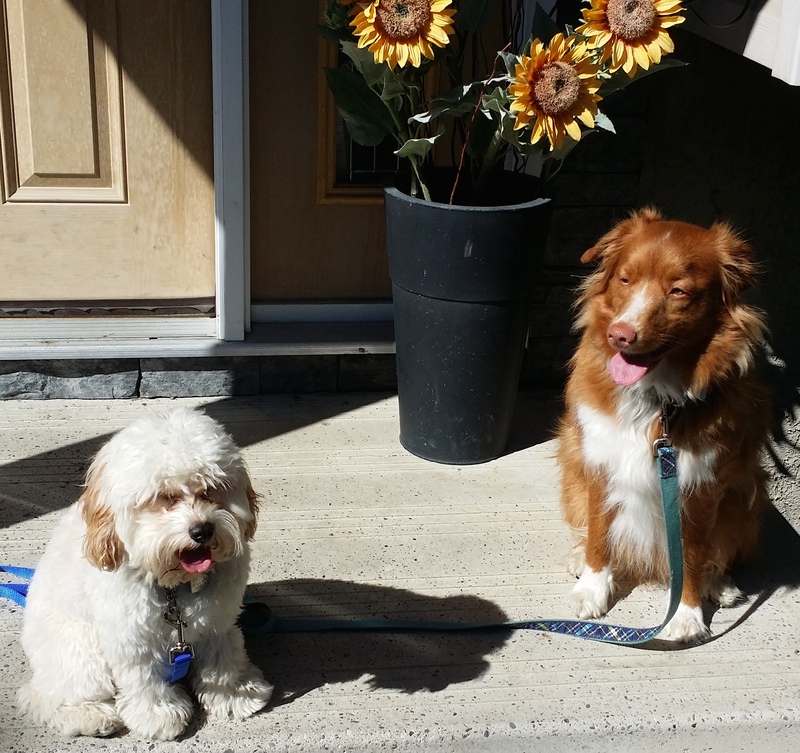 This entry was posted in Dogs, Musings, Weather and tagged Banyan, Cavapoo, Levi, Nova Scotia Duck Tolling Retriever, Sun, sunflowers, the sun has got it's hat on, the sun(flower's) got it's hat on. Bookmark the permalink.